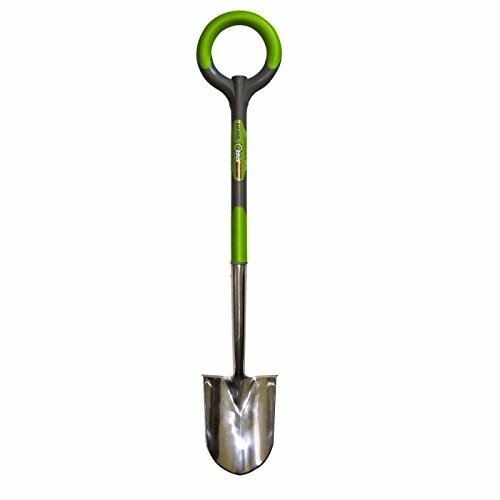 Stainless steel floral shovel ideal for flower gardens, transplants, and raised beds. Large "O"-shaped handle with non-slip grip provides comfort for both hands. Unbreakable resin-encased steel shaft for strength. Premium value for the discerning gardener. Lifetime guarantee.